Can Professional Handyman Courses Improve Your Business? 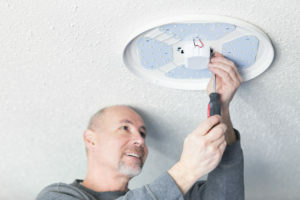 Home › Next Insurance Blog › Handyman › How Professional Handyman Courses Can Improve Your Business? There are plenty of handyman jobs – like small repairs – that don’t require a license and that are relatively profitable; all you need is to have good handyman skills. But if you want to get more work and more lucrative jobs, then you may want to consider taking a handyman professional course. That can help you transition into full-time work as a handyman, and offer new ideas. In many cases, the real money comes from doing more than just the basic DIY jobs. You can even consider different ways to grow your business and find a course that will help you do that. So, when should you consider taking a handyman course? If you’re just setting up your business you might want to take a general handyman course to draw in new customers with skills that are in demand, like putting together furniture, or fixing appliances. Depending on which state you live in, you might need to take a training course in order to get a handyman license to do the work you want to offer. You could be interested in adding a new skill to your list or want to improve an existing one, or already offer a related service like air-conditioner servicing and want to add handyman work on the side. There are plenty of courses to choose from, including master classes for experienced professionals who want to advance their handyman qualifications or move on to teaching themselves. Although there are no official handyman requirements for new business owners, training courses can help make sure that you’ve got all the basic skills you need. Additionally, you’ll make useful contacts in the business that can give you tips about starting up a business. A handyman qualification will boost your confidence and give you something to show new customers when they ask about your education and experience. Even once you’re well-established, it’s still worth attending higher handyman professional training courses. Getting extra training in specific handyman areas – like door installation or in refitting homes to be more energy efficient – can open up new areas of business and let you raise your prices. Feel the pride in labeling yourself an expert professional handyman! There are handyman training courses all over the US, so you shouldn’t have to travel too far for a convenient course. You don’t need degree programs; just start at your local community center to take a beginner’s course. If you’re looking for an advanced handyman professional training course or a handyman master class, the best way to find them is to ask your local or state handyman association. The best training courses will bring you certification from the Association of Certified Handyman Professionals (ACHP) or the United Handyman Association (UHA). Once you’ve invested so much time into your own training, you might be ready to expand your profession by opening up your own handyman professional class. In any case, it’s important to have good handyman insurance that covers accidents that can happen when working with dangerous equipment. Even if you don’t want to teach full handyman training courses, there’s high demand for courses for regular men and women who want to be able to deal with small repairs and DIY jobs themselves. You might even find yourself teaching handyman skills at a local high school or community college. A professional handyman course can help you get your business started or to boost your current handyman career. There are plenty of courses available so take the time to compare your options and choose a professional class that includes hands-on and classroom learning. The right handyman professional course will bring you more business and advance your career, so choose wisely.